The state of Vermont is blessed with a truly unique and beautiful natural environment, and some of the best ski areas in the country. During the winter months, many visitors and residents enjoy the exhilarating sports of skiing and snowboarding. Unfortunately, each year a certain number of deaths and serious injuries result from the sport. What is often not properly recognized is that many of these injuries and deaths are preventable. A number of the partners at Kohn Rath Danon Lynch & Scharf, LLP have particular expertise regarding ski and snowboard injuries. David Rath worked in the ski industry and is both a downhill skier and backcountry skier. Roger Kohn is an avid and long-term skier, having skied for many years both in Vermont and at resorts around the world. Robert Scharf is also an experienced skier, with a daughter who snowboards. All of the partners at the firm are very experienced negligence and trial lawyers. We have a thorough understanding of the duties of skiers and ski resorts, and the applicable legal principles. Our knowledge of the personal injury laws applicable to skiing, coupled with our knowledge of the ski industry, allows us to use our expertise to the advantage of clients who are injured in ski accidents, protecting them from false arguments that are often used to deny claims. 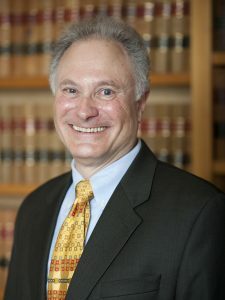 If you were injured in an accident while skiing or snowboarding, or if a loved one suffered a fatal injury, contact the attorneys at Kohn, Rath, Danon, Lynch & Scharf, LLP as soon as possible to discuss your ski or board accident and find out if you have the right to pursue a claim for your injuries and damages. Who Is Responsible In Ski Or Snowboard Accidents? Each ski or snowboard accident is unique. Experienced attorneys will need to understand exactly what occurred and the factors that led to it. A skier or snowboarder running into another skier or boarder is one type of accident. A fall when a ski binding fails to release is another common type. A skier or boarder hitting a ski lift pole, tree, rock, or barrier is yet another common type of incident. A skier or snowboarder being injured on a trail which should have been closed by the ski patrol because it was unduly icy or had insufficient snow or other dangerous conditions is yet another type of accident. On rare occasions a ski lift will operate improperly, causing injuries, or a lift attendant will be negligent in loading or unloading a skier or snowboarder. Some parties who may be liable in ski accidents because of their negligence include the ski area itself, another skier or snowboarder, or equipment manufacturers and suppliers. Working with an experienced ski accident attorney from Kohn, Rath, Danon, Lynch & Scharf, LLP will help you determine the liable party so you can obtain the maximum amount of compensation for your injuries. At Kohn, Rath, Danon, Lynch & Scharf, LLP, we understand that every ski accident is different from the next. We apply our in-depth knowledge of the law in preparing cases for victims who want to pursue successful ski accident claims. What Types Of Ski and Snowboard Accidents Occur In Vermont? Ski or Snowboard Collisions: Ski or snowboard collisions happen when two skiers or riders collide into one another. 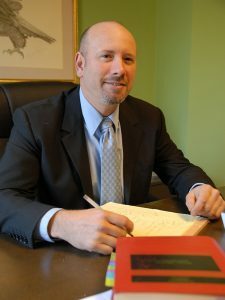 The individual circumstances of these kinds of accidents make each case unique and require a thorough investigation to determine fault, but these cases can often result in recovery. Skiers and snowboarders have a duty to use reasonable care while enjoying the sport, so reckless skiing or boarding, whether caused by excessive speed or inattention or other factors is not countenanced and is grounds for a legal claim. For accidents caused by another skier or snowboarder, there is an important point that is not often realized. Most homeowners have insurance which will pay damages for negligent actions by the homeowner or a family member – including the children of the homeowner — wherever such accidents occur, including skiing or snowboarding accidents. If someone has a fire insurance policy on their house, that policy will usually include liability insurance for negligence claims against any residents of the house, including negligent actions on a ski slope. Such insurance is generally required by banks for anyone who has a mortgage on their house. Tenants’ insurance also provides this broad liability protection. Ski Area Negligence: Ski area owners are required to maintain safe premises for guests. When their failure to do so results in injuries, victims are able to file lawsuits against the property owner for compensation for their damages. Each case is fact-specific, which is why it is imperative to contact a ski accident attorney as soon as possible. There have been large verdicts in Vermont resulting from ski area negligence in this type of case, but these cases are often complex. Ski Lift Accidents: These accidents typically occur when victims are loading, unloading, or riding on ski lifts and rope tows. 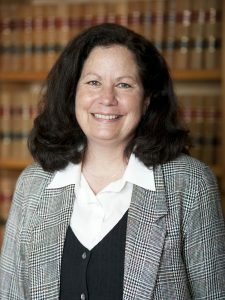 Ski lift operators in Vermont are held to a higher standard of care than is the case for ski areas in general (ski lifts operators in Vermont are considered “common carriers”, which provides special legal protections), so such accidents are particularly susceptible to claims of negligence. Ski Equipment Failure: When equipment fails, and you are injured, you may be able to file a claim to obtain compensation for your injuries. When ski bindings fail to release this may or may not be a result of negligence by the manufacturer or the shop that adjusted the bindings. We are experienced in determining whether such an incident was unavoidable due to the nature of the fall or whether the failure to release was a result of negligence. Working with an experienced ski accident attorney from Kohn, Rath, Danon, Lynch & Scharf, LLP will ensure you obtain the financial compensation for which you are entitled. Medical Expenses: Those involved in ski or snowboard accidents often suffer serious harm. When injuries occur, victims face having to pay thousands of dollars for medical treatment. All of the costs for treatment, including surgeries, therapy, and other medical procedures, can be recovered by filing a personal injury lawsuit. Usually, recovery for these costs can be obtained even if an insurance company paid for these expenses. Lost Wages: Victims of ski or snowboard accidents often have to take time off work to tend to their injuries. When workers have to take off several days, courts award compensation to victims based on their hourly wage or salary and the number of hours missed for appointments or care. In cases where victims are forced out of work permanently, they are able to collect a settlement for wages they would have expected to earn over their lifetime. Pain and Suffering: Victims can be repaid for both physical pain and mental suffering in Vermont ski accidents. It is imperative to work with an experienced attorney who is able to demonstrate clearly and precisely the impact your injuries have had on your life. Loss of Consortium: In some cases, victims are able to receive compensation if their spouse is adversely impacted due to their injuries. 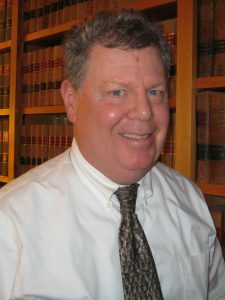 Death claims involve specific types of damages as set forth in Vermont law on wrongful death claims. It is worth noting that medical expenses can often be recovered in a legal claim even if they have been paid by the injured party’s health insurance. This is based on a legal doctrine called the “collateral source rule,” and our attorneys are very familiar with the nuances of this doctrine. In some cases, victims are also able to earn punitive damages for their accidents. These damages do not have to compensate a victim for their loss. Instead, they are provided to victims as a form of punishment toward wrongdoers. There are various legal principles under law that need to be understood as to how to maximize the amounts an injured party can receive for a claim. 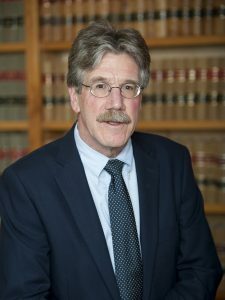 The experienced trial attorneys at Kohn Rath Danon Lynch & Scharf, LLP, are aware of how to best recover the full amount allowed by Vermont law. It is imperative to work with an experienced ski accident attorney so you can obtain full and fair compensation for your injuries and damages. Our extensive knowledge of the ski industry and personal injury laws makes our law firm the ideal solution for those who sustain injuries in ski accidents. Our attorneys at Kohn, Rath, Danon, Lynch & Scharf, LLP work diligently to ensure ski accident victims obtain justice and compensation for their injuries. Kohn, Rath, Danon, Lynch & Scharf, LLP knows how to deal with insurance companies that represent ski resorts. We know when to go after these insurance companies or when utilizing homeowner’s insurance policies are more accessible for victims. Our team of knowledgeable attorneys will aggressively negotiate full and fair settlements on behalf of victims in an effort to avoid costly and timely litigations. However, we prepare each case for trial in the event in which a settlement is not possible. The attorneys at Kohn, Rath, Danon, Lynch & Scharf, LLP aggressively seek maximum repayment for ski accident victims while consulting closely with victims as to their preferences on how to proceed. Contact our law firm today at (802) 482-2905 to schedule a free, no obligation case evaluation.